The daily grind can be just that- an uninterrupted day of the same people, the same tasks, the same place for lunch, and the same computer screen. The Indianapolis Symphony Orchestra wants you to mix it up. The month of June kicked off the ISO’s Lunch Break series. Every Thursday in the months of June and July, the ISO is offering 40 minute concerts for just five bucks at the Hilbert Circle Theatre. 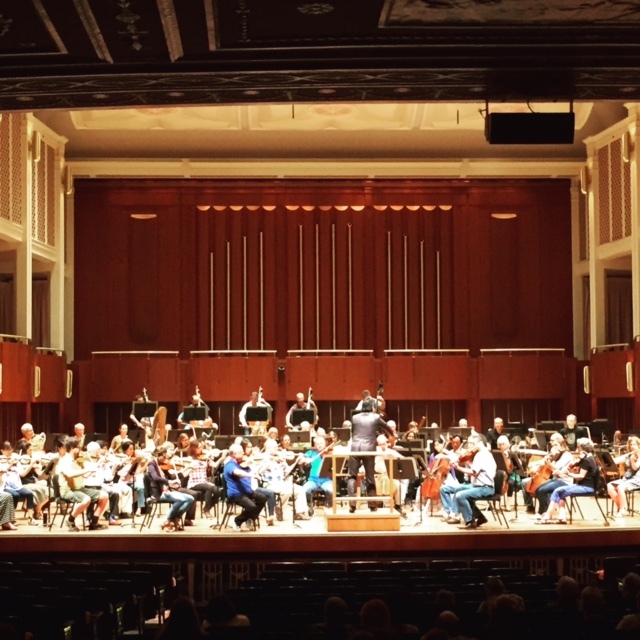 Every Thursday at 12:15, you are encouraged to bring your lunch and enjoy a casual performance from our world-class Indianapolis Symphony Orchestra. Of course, you can brown bag your lunch, but I highly suggest making a quick trip over to the Government Center plaza, just a stone’s throw from the Circle, to get lunch from one of the amazing Indy food trucks who post up for a ClusterTruck every Thursday at the Government Center. My favorites are Spice Truck for healthy and fresh Indian, Da Blue Lagoon for authentic Jamaican and Caribbean, or Soulshine Market for locally grown and organic ingredients with an often-Asian influence. Indianapolis is lucky to have such incredible musical talent in our city, and with the price point equivalent to a grande latte at Starbucks, I pretty much guarantee this is a better use of your five dollars. With the end of June rapidly approaching, there are only a few more chances to catch a relaxing and rejuvenating lunch break concert. Hum along to all of your favorite movie classics with the Movie Music of John Williams on July 23rd. Whether you’re a classical music fan or not, this is a great and unique opportunity to support the Indy arts scene, while spicing up your lunch hour. Don’t be a square- get to the Circle Theatre on Thursdays!